We know that a positive impression for your customers starts with the appearance of your commercial building and a large part of the visual appearance of any building is the windows. Professional window cleaning is our specialty and we have spent many years perfecting our craft. We understand that how good your windows look is a direct reflection of your business. But they are also a reflection on our work which is why we never compromise on the quality of our workmanship nor do we take any shortcuts. 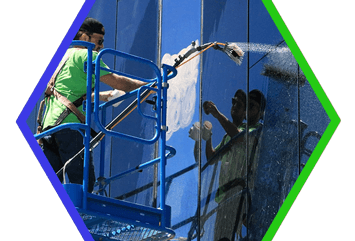 We have successfully tackled difficult window cleaning jobs from Cincinnati to Columbus to Cleveland which has helped us to hone our skills and refine our window cleaning processes. The result is that our window cleaning crews are highly trained, experienced and skilled at providing top of the line service to you. They come armed with state-of-the-art window cleaning equipment to make sure that your window cleaning job comes out right. 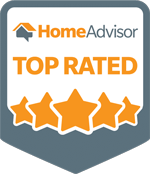 Call today or click the button below to take the first step in putting our many years of window cleaning experience to work for you. You’ll see for yourself what others already know: We deliver unbelievably clean windows, time after time. Does your business enjoy the open concept modern look: exposed beams, HVAC tubes, light poles, etc.? Many restaurants use this design to open up small spaces making the space seem larger, while giving the area a retro feel. Customers revel in the custom look, but only when dust isn’t being rained down on them from above. That’s where Central Window Cleaning comes in! Our high dusting service alleviates dust buildup in your open concept areas. From retail centers to restaurants, we can provide dust removal services to keep your space clean and crisp. Off hours are available to ensure your work flow is not interrupted, and maintenance contracts are available to save you money on long term cleaning.